Safeguarding Essentials - now incorporating E-safety Support - is an online service that offers everything you need to deliver consistent, outstanding safeguarding practice across your school to help keep your pupils & staff safe both online and offline and work towards your inspection requirements. 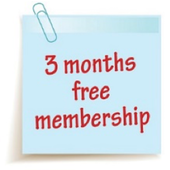 Subscribe or upgrade your membership now and get 15 months membership for the price of 12. The resources offer fantastic value for money for your school, with unlimited use of all the online training courses and 24/7 access to the full bank of downloadable resources. For more information about the resources available from Safeguarding Essentials and to discuss the ideal package for your school, call 0113 360 7838. * All prices are shown excluding VAT. This is a subscription product with an automatic renewal. The first renewal will occur 15 months after the start of subscription and then renew annually there after. Renewal can be cancelled at any time up until midnight on the last day of the current subscription.